Although Android continues to dominate the smartphone market, Apple still reigns supreme in the kingdom of tablets. Steve Jobs launched the touchscreen tablet as we know it into mainstream consciousness, and in doing so, carved out a new niche that blurred the line between portable smart devices and computers. The enduring and growing popularity of tablets and E-readers is a testament to their portability and versatility, with companies like Samsung, Amazon, and Lenovo even jumping into the mix. These touchscreen devices are fantastic for entertainment, web browsing, and other daily tasks where a computer isn’t necessary, and your iPad can also be easily pressed into service as a lightweight workstation with a Bluetooth keyboard. All techies (and especially Apple fanboys) know that iOS 11 tech can cost you a pretty penny, but iPads are actually quite affordable in contrast to other Apple products like the iPhone, MacBook, and everything else sold at the Apple Store. But why pay full price? We’ve already done the hard work for you, sniffing out the best up-to-date cheap iPad deals for August 2018 and collecting them all right here. Make sure to take a look at the App Store after you pick one up to find extra games and services. Sometimes, you just can’t beat the original. The standard iOS Apple iPad is the one that started it all, and although it’s been updated half a dozen times since its first release, the classic design is still hugely popular. The 9.7-inch iPad also remains our favorite all-around tablet, making it the one to get for most people. The current seventh-generation 2017 iPad models include a built-in speedy 1.85 GHz dual-core ARMv8-A CPU and 2GB of RAM. Its 9.7-inch touch display has a crisp high-definition resolution of 2,048 x 1,536. It’s also considerably lighter and less bulky compared to its predecessors, coming in at around the same size as the original iPad Air. It comes in such colors as Space Grey, Black, Gold, Silver, and Pink, not to mention it’s loaded with the feature-rich OS 11 mobile operating system. Plus, if you buy it directly from Apple, you can also get the Apple Pencil — for those of you who are more education-focused. 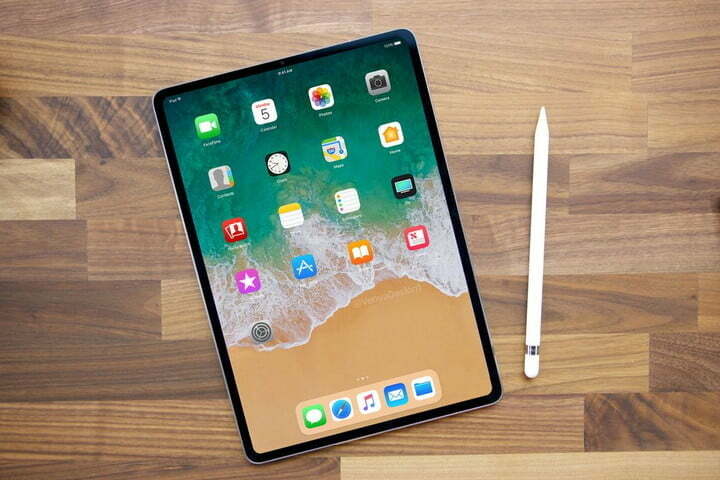 Officially, the iPad Air line has been more or less rolled into the standard 9.7-inch iPad, as more efficient mobile technology has allowed Apple to make its tablets smaller and lighter than ever before. This has effectively made the iPad Air redundant, given that the seventh-generation iPad is as slim and light as the original Air. 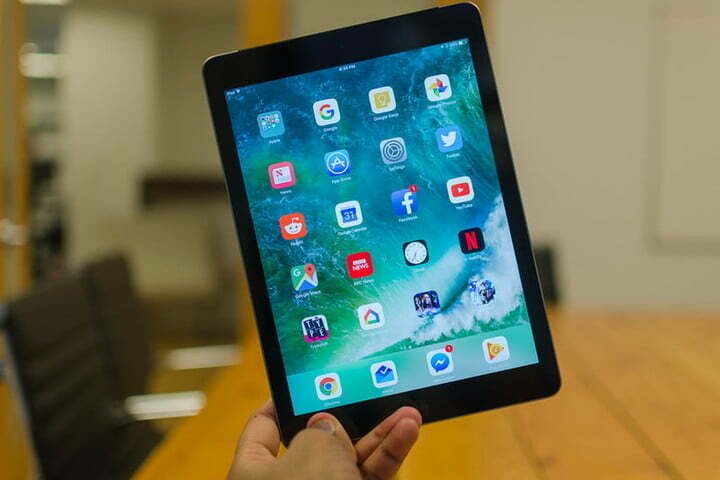 Nonetheless, the iPad Air is still a fantastic tablet (earning a glowing 9 out of 10 rating in our hands-on review), and if you aren’t picky about having the latest gadgets, you can score some great deals on last-gen hardware. 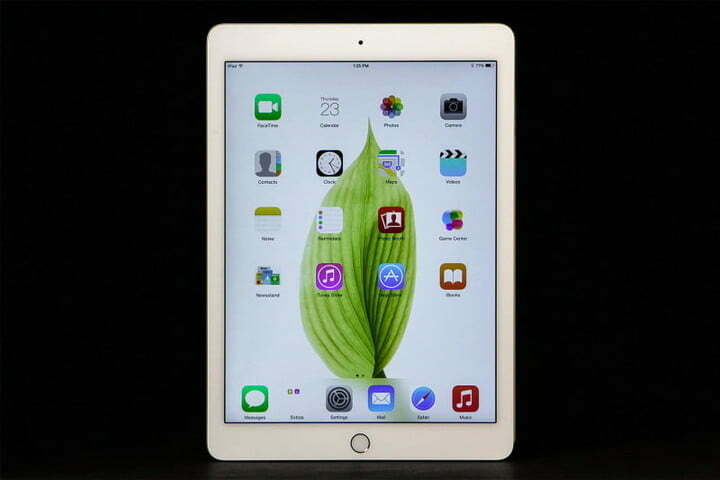 The Air has the same 9.7-inch display as the standard iPad, placing it in the “Goldilocks zone” of tablet sizes. It runs on Apple’s A8X 64-bit chip architecture with a 1.5 GHz tri-core CPU and 2GB of RAM — still very respectable specs for browsing, watching videos, light gaming, and work. It also has the front-facing camera if you want to FaceTime your loved ones. The Pro is the larger, beefier sibling of the 9.7-inch iPad, featuring more powerful hardware and a larger display similar to a laptop or some decent Chromebooks. The higher-quality second-generation Pro comes in two sizes: The new version with a 10.5-inch screen (replacing the older Pro, which was the same size as the standard iPad) and one with a 12.9-inch display. With more power and more screen, many opt to add a stylus or some other accessory into the mix to get the most of their new iPad. Under the hood, both of the current-gen iPad Pro models run on a 2.39 GHz hexa-core processor and 4GB of RAM for snappy performance. The 10.5-inch Pro display has a sharp 2,224 x 1,668 HD resolution, while the 12.9-inch offers an increased 2,732 x 2,048 pixels of screen real estate. Both feature Apple’s stunning proprietary Retina display technology as well Touch ID for protection. 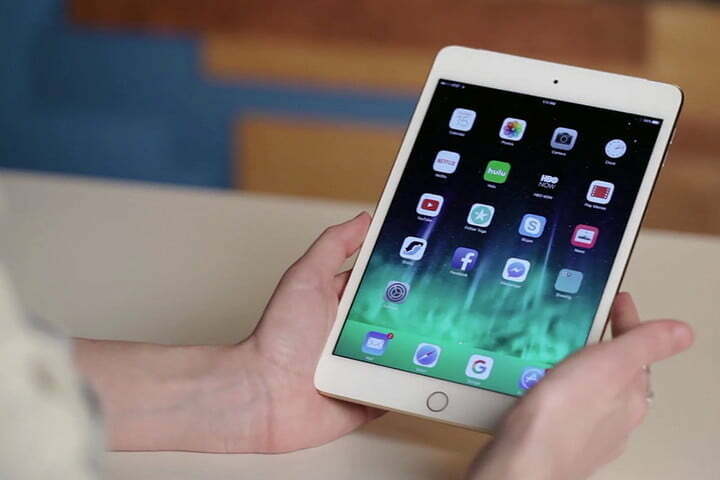 True to its name, the iPad Mini is the junior sibling in Apple’s tablet family. There have been four iterations of the Mini, with the newest fourth-generation model coming in at a super-slight 6.1mm in thickness. It features a compact and vibrant 7.9-inch multi-touch display and smart keyboard that doesn’t sacrifice on picture quality, thanks to Retina technology and an HD resolution of 2,048 x 1,536. The iPad Mini 4 runs on 64-bit A8 chip architecture, similar to that found inside the iPad Air, with a 1.5GHz dual-core CPU. This works together with 2GB of RAM and a PowerVR GX6450 graphics processor, giving the Apple iPad Mini more than enough juice for all of your apps, as well as for tasks like streaming videos and light gaming. Looking for more cool stuff? Find iPad deals and more from our curated deals page, or follow us on Twitter for the latest savings. Published on Mon, 08 Apr 2019 22:20:34 GMT, © All rights reserved by the publisher.